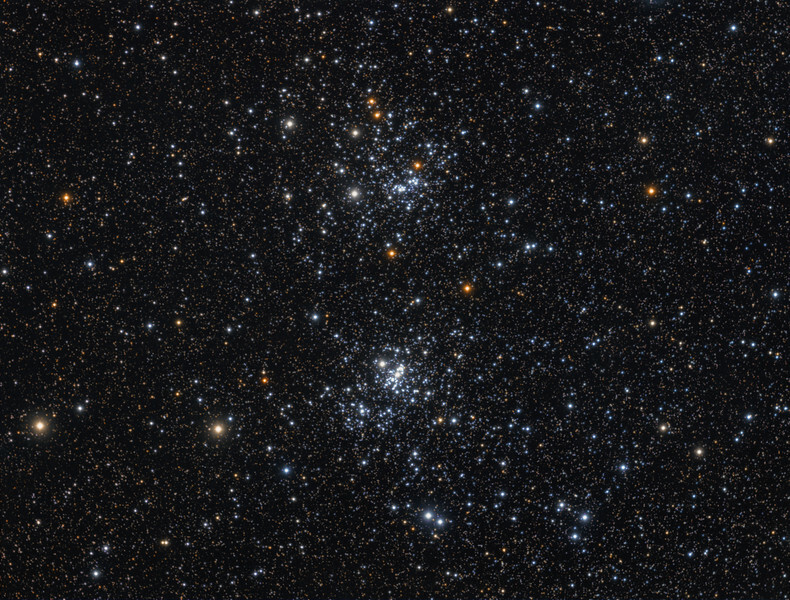 The Double Cluster (also known as Caldwell 14) is the common name for the naked-eye open clusters NGC 884 and NGC 869. 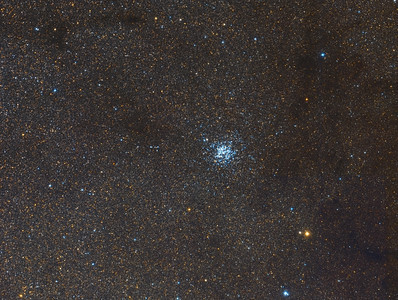 These clusters are at distances of 7600 and 6800 light-years away, respectively, so they are also close to one another in space. 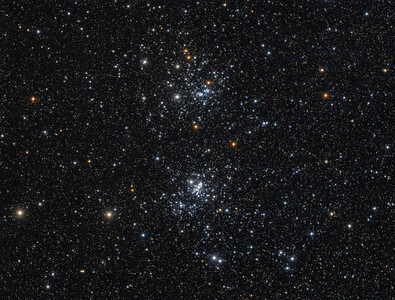 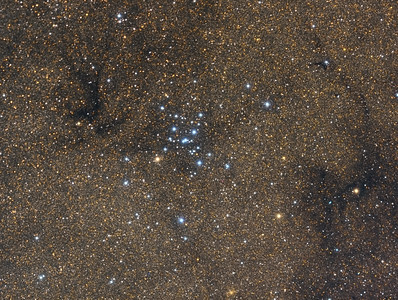 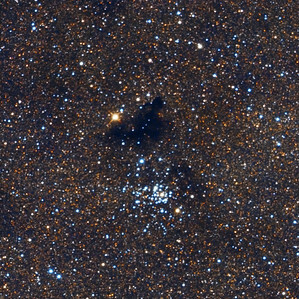 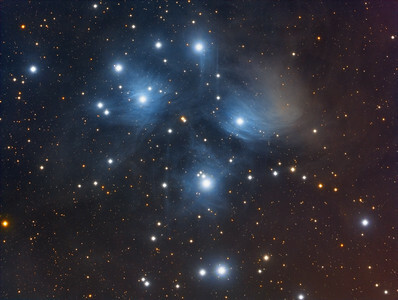 The clusters’ ages, based on their individual stars, are relatively young. 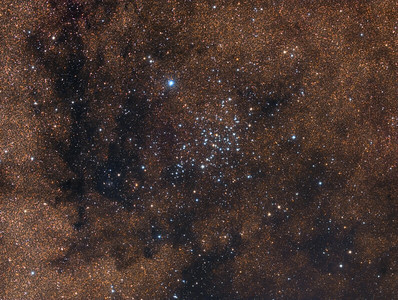 NGC 869 is 5.6 million years old and NGC 884 is 3.2 million years old.